A stunning illustrated collection of dark and ancient fairy tales from the world of Doctor Who. These captivating stories include mysterious myths and legends about heroes and monsters of all kinds, from every corner of the universe. Originally told to young Time Lords at bedtime, these twisted tales are an enchanting read for Doctor Who fans of all ages. This is actually a double review with bonus material – I happened to pick up the Time Lord Fairy Tales from the library and scored the Wit, Wisdom and Timey-Wimey Stuff book for Christmas! I thought I might as well combine the reviews for great Whovian justice. Okay so first, the Fairy Tales. 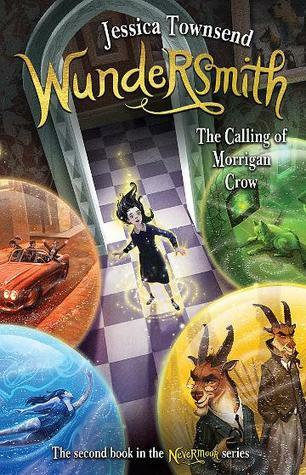 I went into this one expecting stories set in the Whoniverse in a fairy tale style. What I actually got was real-world fairy tales, woven into the Whoniverse. We have classics such as Cinderella, Hansel and Gretel, Snow White and the Seven Keys to Doomsday (which, incidentally, the Doctor mentioned in the episode Night Terrors along with The Three Little Sontarans – which is also related in this book as a retelling of the Three Little Pigs), Little Red Riding Hood (featuring Rose and the Bad Wolf), The Pied Piper of Hamlin and more! The Doctor pops in now and then in various incarnations, usually to save the day. The tales are very well told and I think I may have to get my family a copy for reading when they become more engaged Whovians (it’s only a matter of time). As a fan of both Doctor Who and of fairy tales, I was delighted. 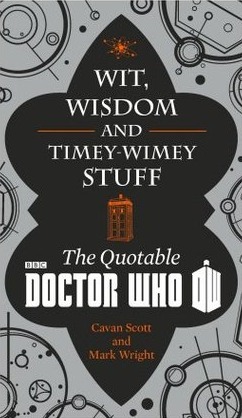 The Wit, Wisdom and Timey-Wimey Stuff is a book of quotes compiled from the TV series of Doctor Who. It has some cute woodcut-style illustrations dispersed throughout it, and the quotes are arranged into helpful chapters and subjects. Because this book was published in 2014, there are no quotes from the Twelfth Doctor except for his opening “Kidneys” comment. Everything is from The Time of the Doctor and before. There are plenty of quotes from “classic” series as well as the new, and since a few of the classic serials popped up a few different times I might have to go and search them out! (eg. Robot, Talons of Weng-Chiang, The Robos Operation, Dragonfire, among others). The funny thing with a book of quotes is that while it’s great for reference and, I suppose, nostalgia, it’s not really something to sit down and read from cover to cover. There’s a handy index in the back to find the quote you’re after, if you’re looking to quote the show. As a fan, I appreciated it, but it’s not exactly a must-have.